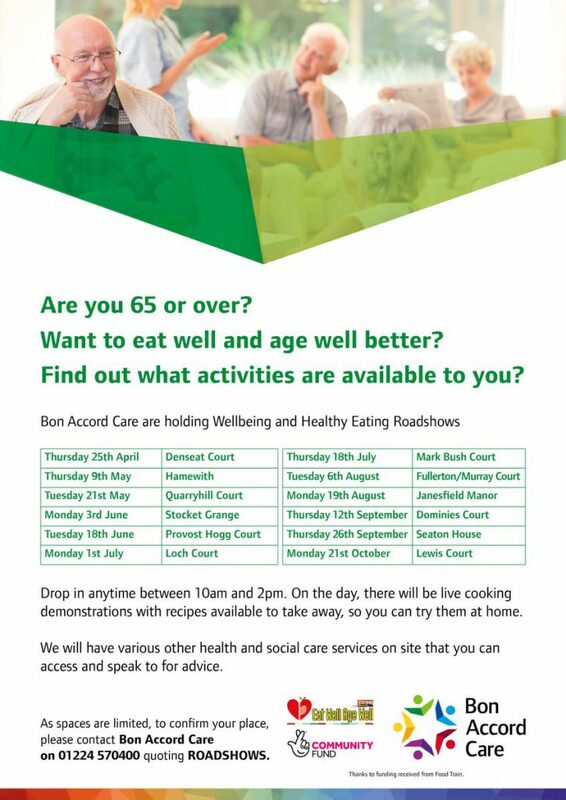 We are thrilled to see the launch of Bon Accord Care’s Wellbeing and Healthy Eating Roadshows in Aberdeen. 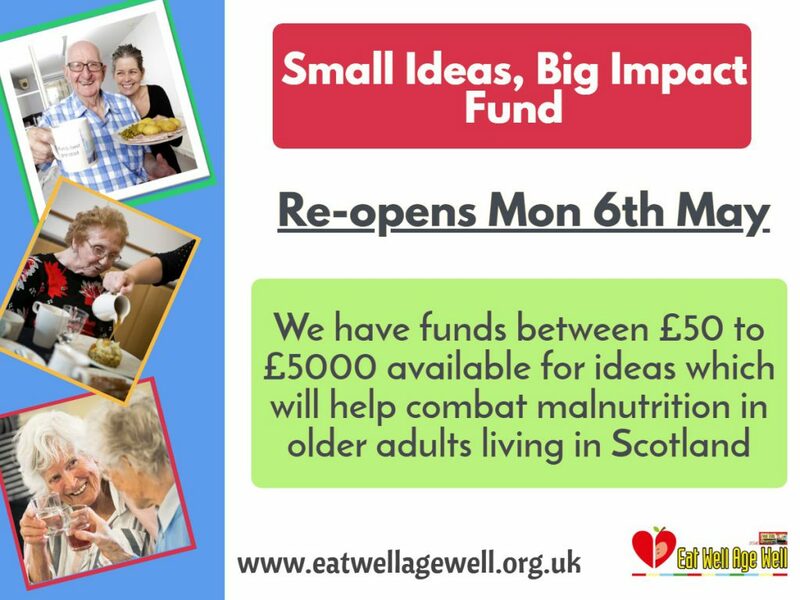 This project has been supported by our Small Ideas, Big Impact fund which provides grants for innovative ideas that will help older people to eat well and combat malnutrition. 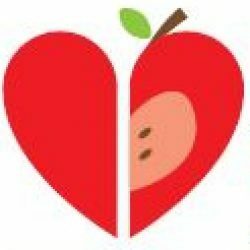 Small Ideas, Big Impact fund re-opening for submissions! After the incredible response to our Small Ideas, Big Impact fund in 2018, we are thrilled to announce that the fund will re-open for a second round of submissions on Monday 6th May. 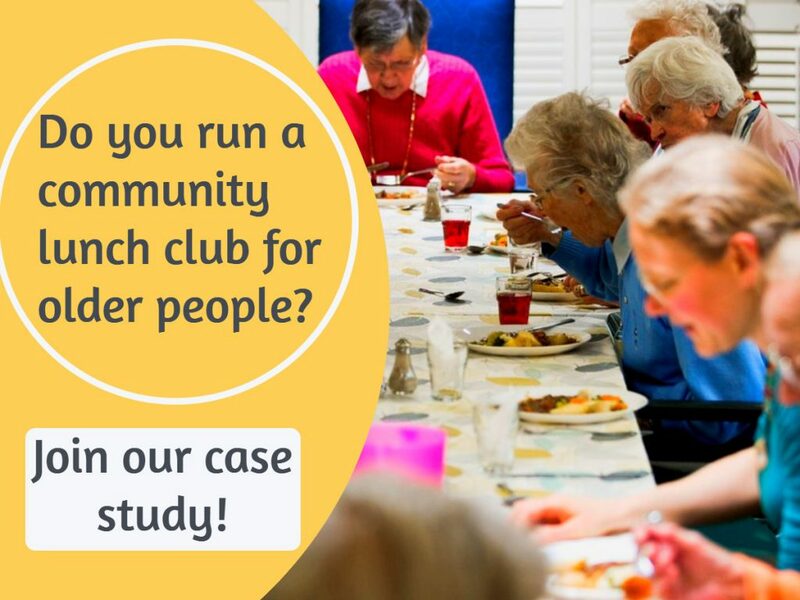 Do you run a community lunch club for older people? Would you like to be showcased as an example of good practice? 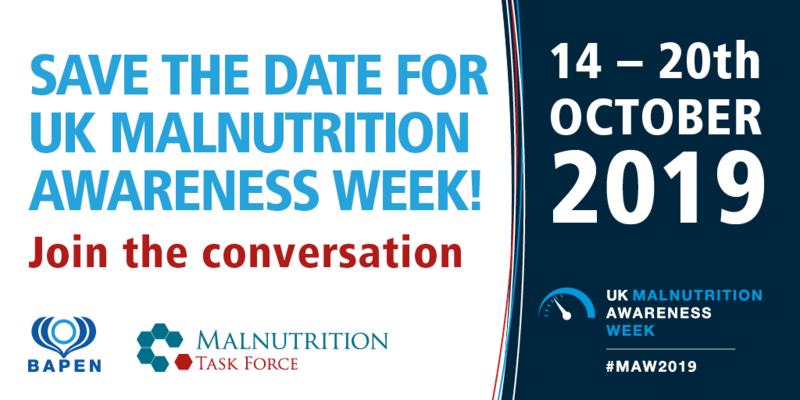 Malnutrition Awareness Week – Save the Dates! 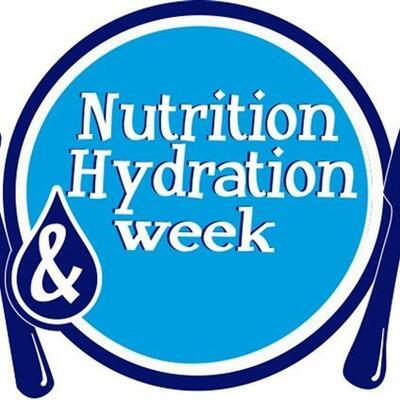 Get your diaries ready as the dates for this years Malnutrition Awareness Week have officially been announced by BAPEN and the Malnutrition Task Force. This year it will take place between 14th – 20th Oct and we are excited to start putting our plans in place. 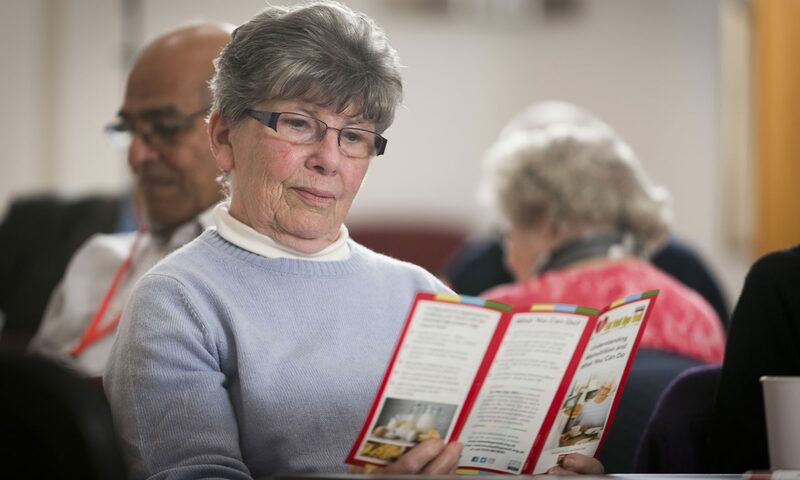 11th – 17th March is Nutrition & Hydration Week and we will be sharing lots of tips, resources and advice surrounding older adults, eating well in later life and preventing malnutrition. We have until the 29th of March to tell the Government what we think of their proposals for a Good Food Bill and try and raise the ambition of this new law. We had an overwhelming response to our Small Ideas, Big Impact fund. 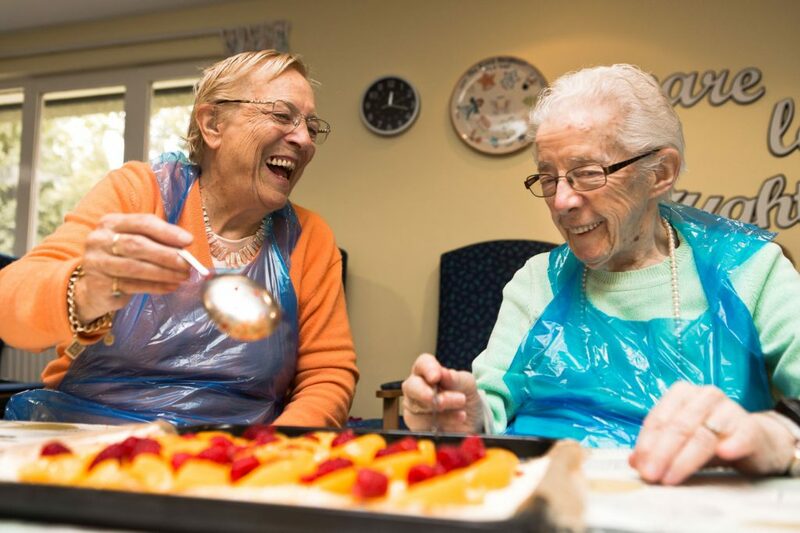 After a very tough decision process we are delighted to announce that 23 projects across Scotland have been successful in their bids for projects that focus on supporting older people to eat well and combat malnutrition. 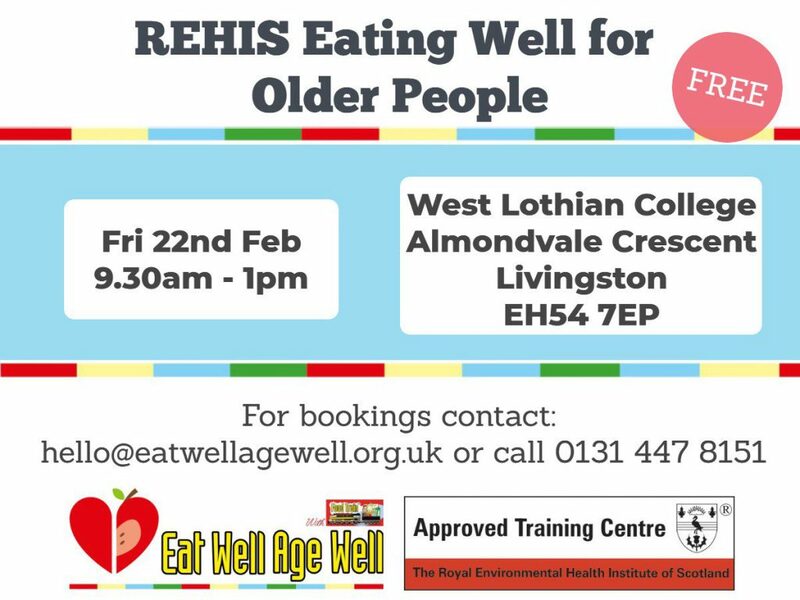 Eat Well Age Well are now delivering the REHIS Eating Well for Older People course. 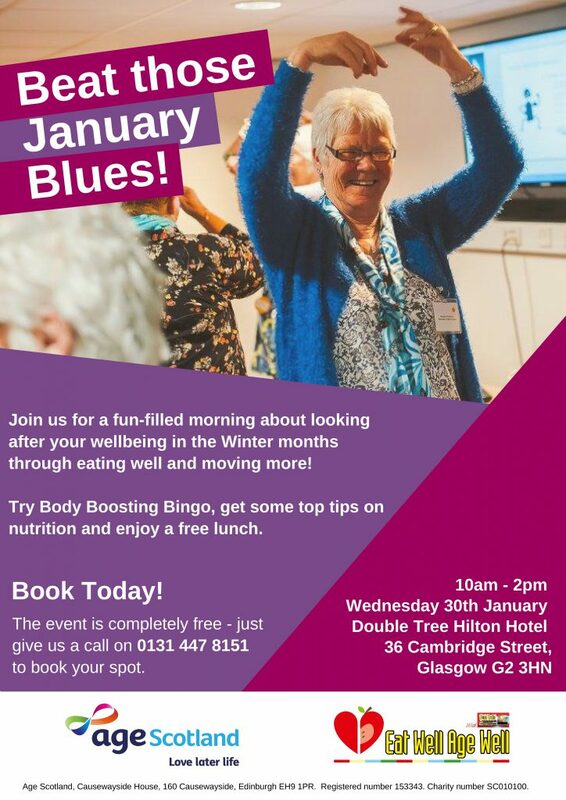 This course focuses on the importance of good nutrition for older people and how to support them to eat well, and is suitable for anyone working or volunteering with older people in the community or for older people themselves. 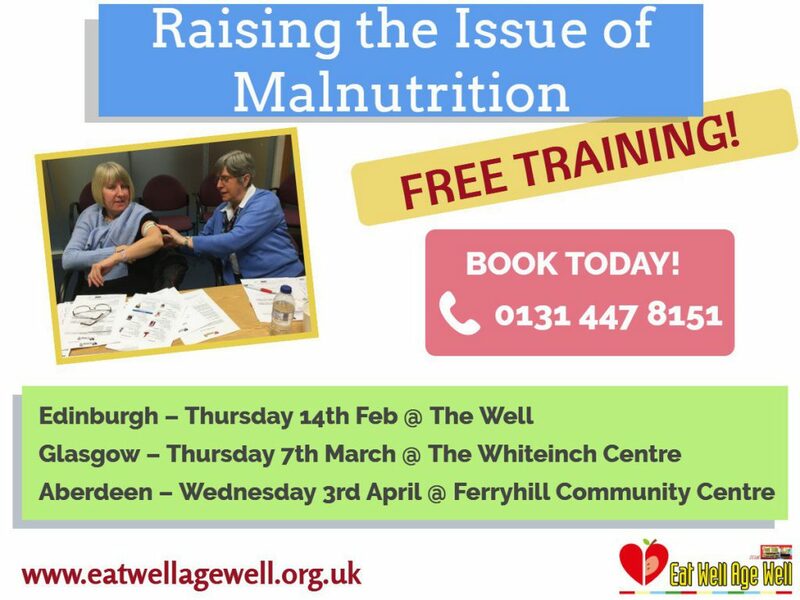 We are delighted to introduce our FREE Raising the Issue of Malnutrition training for 2019, with dates now available to book.